Update on whats been happening. First my apologies for the lack of posts, things moving along at a hectic pace and sometimes hard to keep control of. 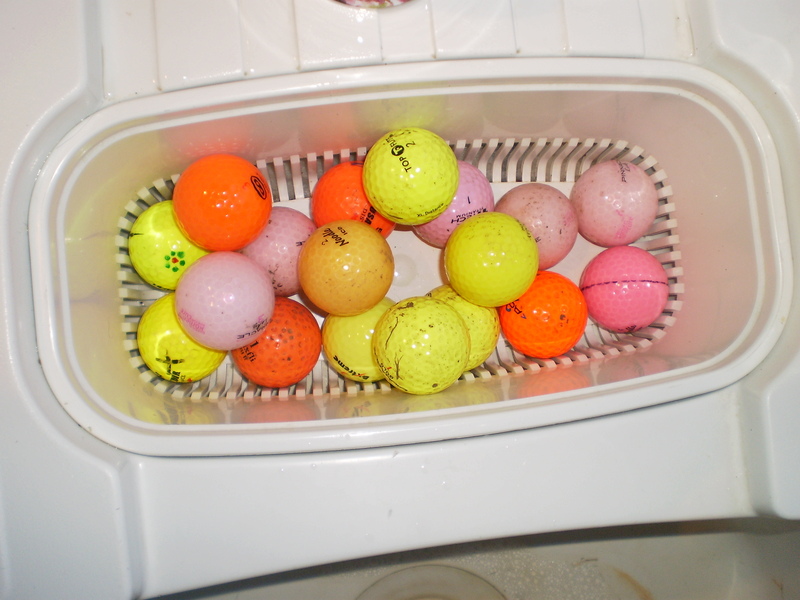 Golf Balls….We are very active and have been throughout, have been visiting new territories checking out golf courses and fields adjacent to areas of interest we have covered more than 300 miles but the rewards have been far better than expected, we have been retrieving on average around 40/60 per day just along the fence lines of courses, our visits to the fields and walkways which i add are all legal thorough fares are returning huge results with one days pickings from 1 field resulted in over 140 balls in less than 40 minutes, and what a great range of balls were returned…Nike i am pleased to say have popped up overall winners in the week returning a great 72% strike rate,was really happy to find so many Nike balls, it is also pleasing to find so many logo balls back in the mix, have some very interesting ones making appearance, my good friend in America will be delighted as he collects all balls associated with Banks and Finance Companies…these should make him happy. Vending Machines…Very pleased that the machines are being used at the locations we have, we have also launched the 1st machine with garage forecourts and will be responsible for servicing and maintaining stock levels throughout the year. Hopefully more business will generate through to Garages in time, we also have other good interest from a franchise outlet to follow through and then there is the good old fashioned english pub that attracts so many golfers through regulars or passing trade. We have to build on this slowly and do things properly. Tilly-Miss has been working great today alone within 15 minutes 8 great golf balls were retrieved from some very prickly areas i could not reach, she is getting good walks daily despite the terrible weather and the wife shouting because her feet are dirty after a walk….but she realises that i am heading away to europe tonight and has seen my bag packed…so at the moment she is sulking…i have to go and do some work which has been kindly offered to me, it will be sad to go and i will miss tilly but i also need to get some space away on my own…but not long away and will be back shortly. 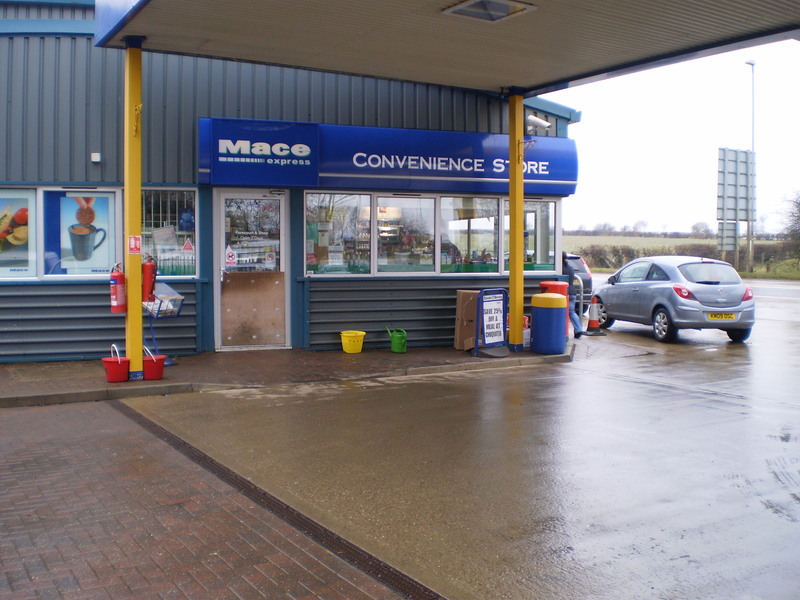 On the road bright and early to install another machine,this time to a garage forecourt service station. Then the drive back to fit another in a pub in Eton. totally worn out now and need a rest before installing another machine at another venue tomorrow then the drive to Birmingham? another long day ahead it seems. Herd of Deer just chased us. 6 Deer just chased us through the woodland,we were walking the outer field when they come trotting towards us then started to move quicker, i realised then that they meant business,grabbed tilly-miss and got behind a tree,they then stopped looked at us and bolted? are we really that frightening? Washed and cleaned and posted…job done…now to the course ! I am delighted that we have another site in Peterborough who have taken tilly-miss onboard. in any area of the garage forecourt. Dire weather never stops the golf ball dog. 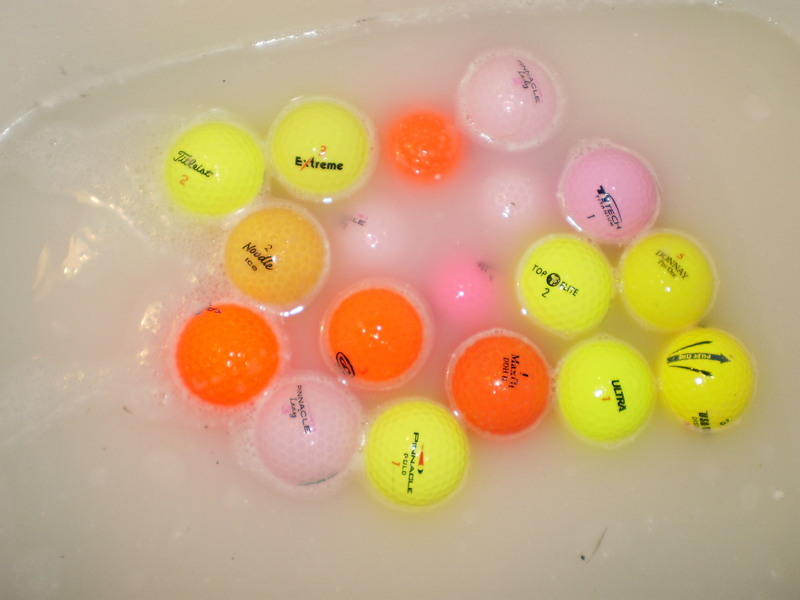 we were back in the copse again this evening and the golf balls are laying in wait to be rescued,we came away with 53 very clean looking balls scrape of the moss and the mud them balls are shining like a beacon…strange enough Top-Flite were by far the most collected ball today? i wonder if people just smashed them in the copse to get rid of them? The weather and access through to the woodland is a swamp no joke the ducks have even started to land? the bridal path is a mire of sludge and puddles making the walk unbearable in parts,but we carry on and keep counting them balls 304 total returns from 3 courses since sunday we should have round the 700 mark by the end of the week. Shall be loading machines and getting the balls loaded in the cans as i have to fit 2 more at pub sites so busy times ahead. Another haul from the undergrowth. How many golf balls are lost on courses,we have struck gold it seems or all the bad golfers just seem to follow me and tilly for the fun of it. 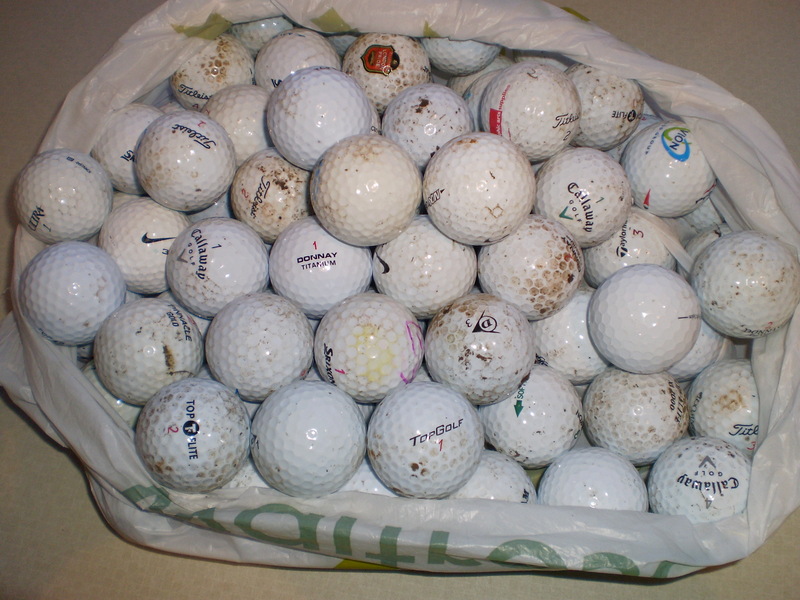 Couldnt believe we would again strike lucky today,we crammed over 80 balls laying from the ground mixed in tree weed and under leaves and in fields…and we are talking brand new balls..1 hit babes hardly out of the wrapper or box..the best name ball that people buy from Nike..Titleist…Calloway..and we are getting these by the bucket load,all left to rot in the ground it seems..they wash perfectly look like a new ball should…G L E A M I N G….Oh happy days. A quick wash soon brought these beauties back to there best. A good day with a good supply of the great white ball lots of name brands to choose from. We will soon have these in the wash looking like new. Still many golfers out there this evening. We headed back with the intention of hitting the copse,took a bit of time due to the number of golfers but we got in and got out 63 balls better for doing so,it is a haven for lost balls so many brand new golf balls laying in wait to be rescued,lots of Nike…more Calloway and surprisingly Hogan golf balls? along with Titleist PTS Range which is great news as they sell quickly in machines….. I am seeking to find the Penfold Heart ball but do you think we can find one or anything at all from Penfold…where are all those Hearts? That is me for today..my time to rest until tomorrow when we go in search again…what will i do until then?…beer comes to mind..? for a game,but it is there choice and there money that is being spent. We come very close to being hit by 2 golf balls this morning there was not a foot between either one of the balls bouncing from fencing and wood slat posts…very scary moment indeed. Must say one thing thou i get so much amusement from watching these so called golfers,3 aussies on the course trying to play and look the part these guys had the clothing the bags and looked the part,but could they play…not a chance in hell..one hit a shot to the edge of the green? took him 7 attempts to putt the ball? i said why dont you give up and go to the clubhouse for a beer instead,he replied i have been playing ever so well today? i watched him tee of and my god tilly would have thrown it further just playing with it…it was the biggest farce of comedy error i have ever seen…think of all the money outlayed and think of the money he paid for the round of golf…give it up now and find another sport…i would hate to have seen what ball he was using,that would be the icing on the cake. We had a good day ball wise suddenly it is all Taylor-Made and Calloway being found? is someone selling a lot of these balls cheap,never known so many TM being found. We are heading out again to see what our golfing friends have left for us today,i have a nice copse area to get through and tilly needs to be in good form as there are many thorns to contend with. 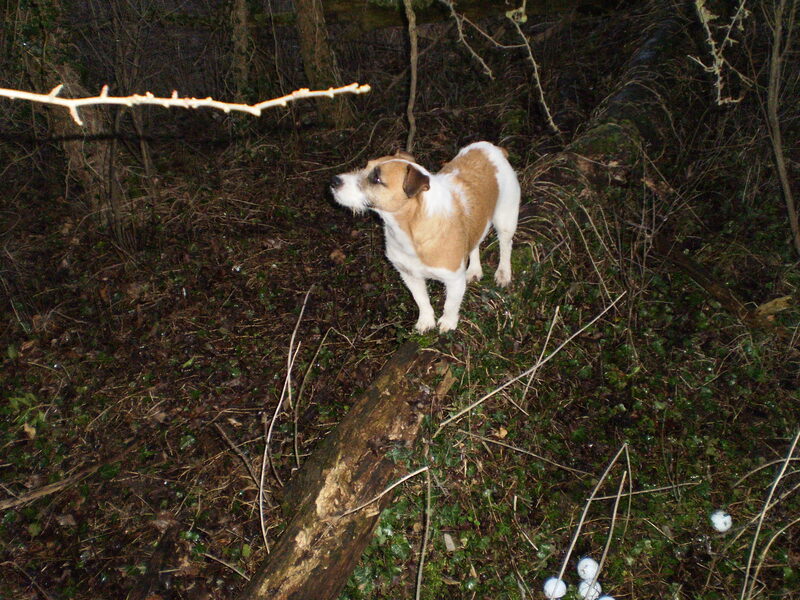 You are currently browsing the Tilly the Golf Ball Retriever Dog blog archives for February, 2010.